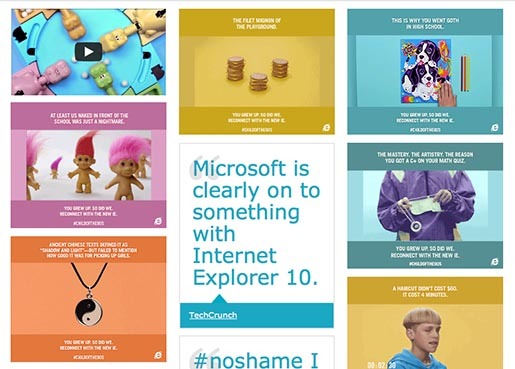 Microsoft is running “Child of the 90s”, a commercial aimed at GenYers who used Internet Explorer in their formative years. 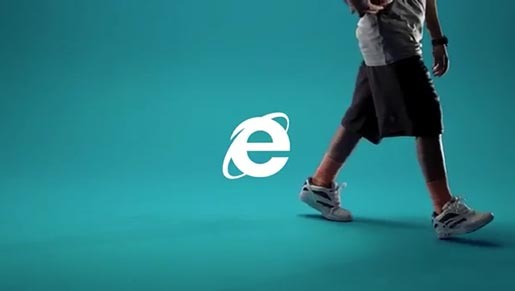 Part of the Browser You Loved To Hate campaign, the commercial reflects on the changes that have happened since the early days of the internet and introduces Windows 8 and Internet Explorer 10. “You grew up. So did we. Reconnect with the new Internet Explorer.” The campaign links with browseryoulovedtohate.com and the Twitter hashtag #childofthe90s. The Child of the 90s campaign was developed at Column Five, Los Angeles, by creative director/producer and copywriter Ross Crooks, art director Luis Liwag, copywriters Nick Miede, Katy French and Jake Kilroy, producers Jeremy Fetters, Melody Mackeand, Chase Ogden. Filming was shot by director/producer Nick Miede via L’Eloi with producer Eloi Beauchamp, on-set director Greg Barth, director of photography Simon Duhamel, editor Augie Arredondo, 3D motion designer Ryan Rumbolt, 2D motion designer Marco Bagni, colorist Bob Curreri. Music was composed at Marmoset Music. Voice over was by John Kubin.